If you haven’t gone to see the movie yet, please do so as soon as possible! You’ll get to see things like the picture above! The Goblin King as his “finest,” if you can call it that. Today we start the day off with a new photo from An Unexpected Journey featuring Gandalf (Ian McKellen) confronting the Goblin King (Barry Humphries). Except when you’re dealing with action figures. You can be superficial, then, and you can root for Thorin Oakenshield to smite his ruin upon the mountainside. There are some folks out there incensed that Peter Jackson has added a character to The Hobbit, a sentiment I almost entirely lack sympathy for. In another case, I might understand, but unlike The Lord of the Rings, with its four women (three of whom appear in one scene each), The Hobbit has exactly zero named female characters. Jackson’s inclusion of material from the LotR appendixes have already brought Galadriel into a story in which she otherwise does not appear, and that’s about as far as he’s likely to get with canonical characters, since Liv Tyler hasn’t been hired on. So those of you who, like me, welcome the addition of Evangeline Lilly’s Tauriel, kickass commander of Mirkwood military forices, will be interested to see what her character looks like, as revealed by some action figures. 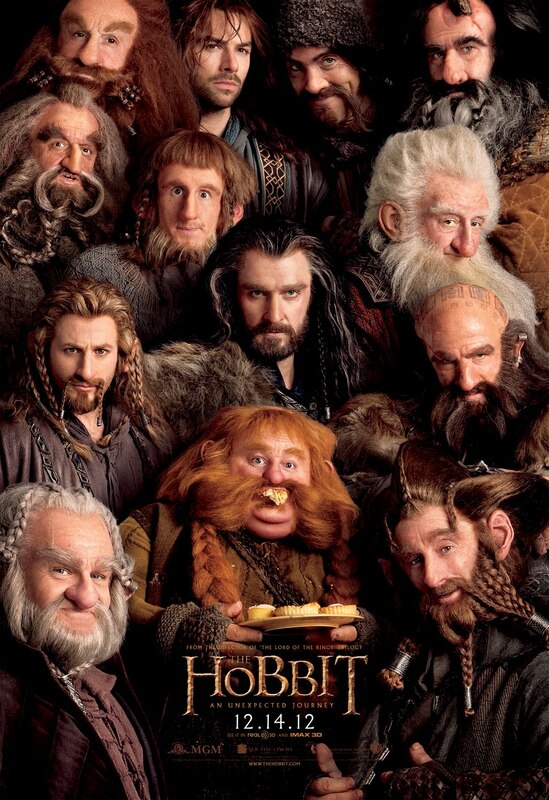 When do Hobbit tickets go on sale? November 7! 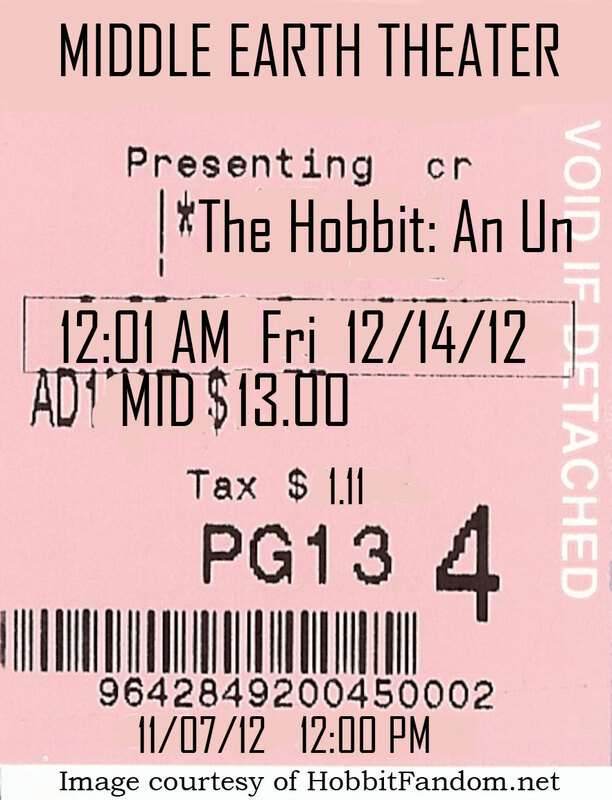 As TheOneRing.Net reports, tickets for The Hobbit: An Unexpected Journey go on sale in the U.S. on Wednesday, November 7 at Noon EST. That’s 9:00 a.m. in California. Here’s what your movie ticket might look like if you go to a midnight show! This is as good as it gets for trailer reviews. TheOneRing.Net, which has always been the best LOTR/Hobbit resource for fans on the web, does a complete breakdown, scene by scene, over NINE pages. We highly recommend you check it out! The following screen caps and commentary are not confirmed and only speculation by the staff at TheOneRing.net. We plan on providing additional updates and insights as staff chime in – so keep this page bookmarked! Elessar: Another beautiful look at what New Zealand has to offer. Calisuri: One of the days, we all need to get our butts to Middle-earth…err…New Zealand. Simply breathtaking. JW: You can tell in this trailer that they’re making it known that New Zealand is back as Middle-earth, an important selling point, as New Zealand was as much a cast member as any of the people in The Lord of the Rings films, and people will come back to see more of it as MIddle-earth in the Hobbit films. Just imagine how different things would be if those plans to move production away from New Zealand would have happened! We’re so fortunate everything worked out for this project to be done the right way. Rumour grows of a shadow in the east, whispers of a nameless fear. In Dol Guldur, an ancient evil lurks? Elessar: Dol Guldur look as creepy from a distance as I could have imagined it would look. Calisuri: Wow – what an amazingly well conceived view of Dol Guldur. Very similar to Weathertop, but much cooler! Calisuri: Pretty sure we could not get through a trailer without some kind of ‘running’ across a landscape shot. Thror’s Map of the Lonely Mountain is revealed. Entmaiden: the Map! So excited. I saw the display at Comic Con at the WETA booth, and it is indeed awesome. Calisuri: I’m expecting a lot of stockings to be stuffed with map replicas this holiday season! Now if they can get the Moon Letters to work, they’ll make an additional billion dollars! JW: I was so excited eleven years ago to see this map in The Lord of the Rings – especially to have Gandalf look at it with such interest. 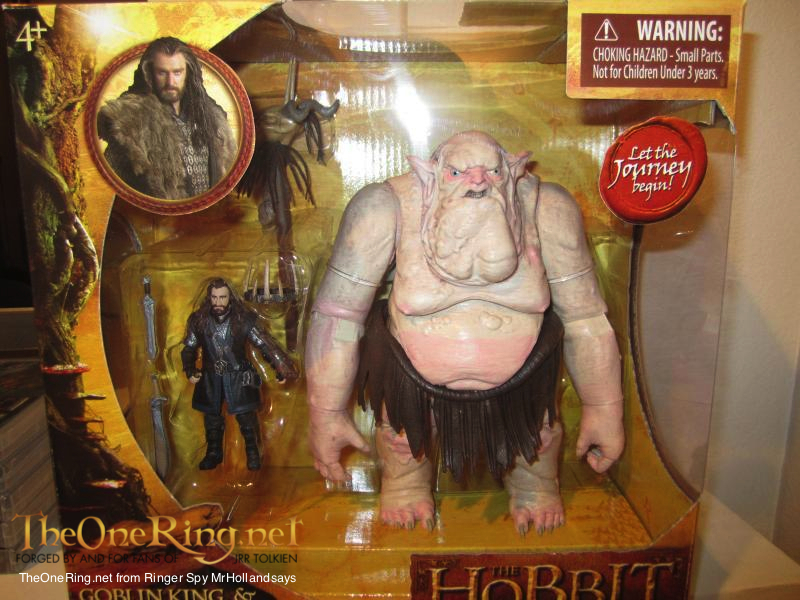 Glad to see it in the trailer, and it will be fun to see it in use in The Hobbit films.